‘Unleash the ECG’ came from an understanding that mobile and simple ECG systems are necessary to keep our health care system affordable. The technical innovations and disruptions are changing all of our lives, but an introduction of new technologies in health goes rather slowly. So giving every GP in the Netherlands the possibility to use a mobile ECG and to ask for quick feedback on the results from a cardiologist makes health processes a lot less complicated. Patients don’t have to travel to hospitals anymore and wait for results. Diagnoses are more accurate and can be done quicker. 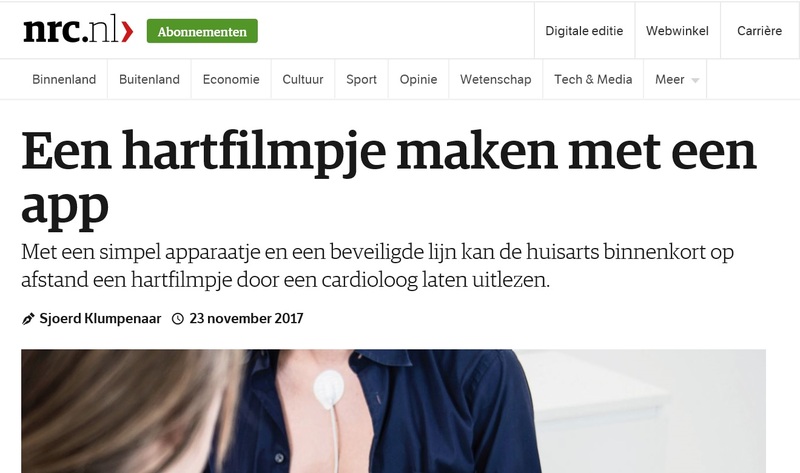 We (Vital10) have worked with KPN (E-Zorg / CardioSecur) to make it possible to introduce this service in the Netherlands. In this new coalition we showed that different companies can work towards something very precious. For more information – check the link to the Dutch article in the NRC newspaper.